In Search of Good Fortune? Our Quiltville Mysteries are free to blog readers each year until February 1st when all parts are retired from my blog, rewritten in a coherent logical fashion and presented to you for purchase in the form of a PDF Pictorial Tutorial booklet found in the Quiltville Store. You will find it in the Digital Patterns Section along with other retired Quiltville mysteries! No free clues will be available after Jan 31, 2019. 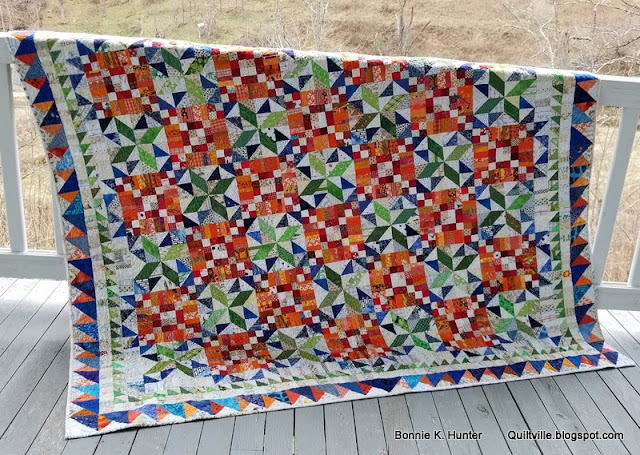 Be watching for another Quiltville mystery to launch on Black Friday, Nov 22 2019 with yardage requirements and background information being posted by Halloween, Oct 31 2019 so you have plenty of time to get ready. My thanks for those who participated this year - you make this reader appreciation mystery season the best time of the year for me! Playing Hooky All the Way to Abingdon! Quilt Assembly–the Slow Sunday Way! All Roads Lead to Virginia! Gonna Win this Wild & Goosey! String Frenzy Blog Tour and Gift-Away! Easy Grade Loop? I Think Not! String Frenzy Blog Tour & A Quilt-Cam Evening! And When There is Time to Sew! Overwhelmed in Every Good Way.